Hello! I'm Emmy, and I am obsessed with sake. How obsessed am I, you ask? 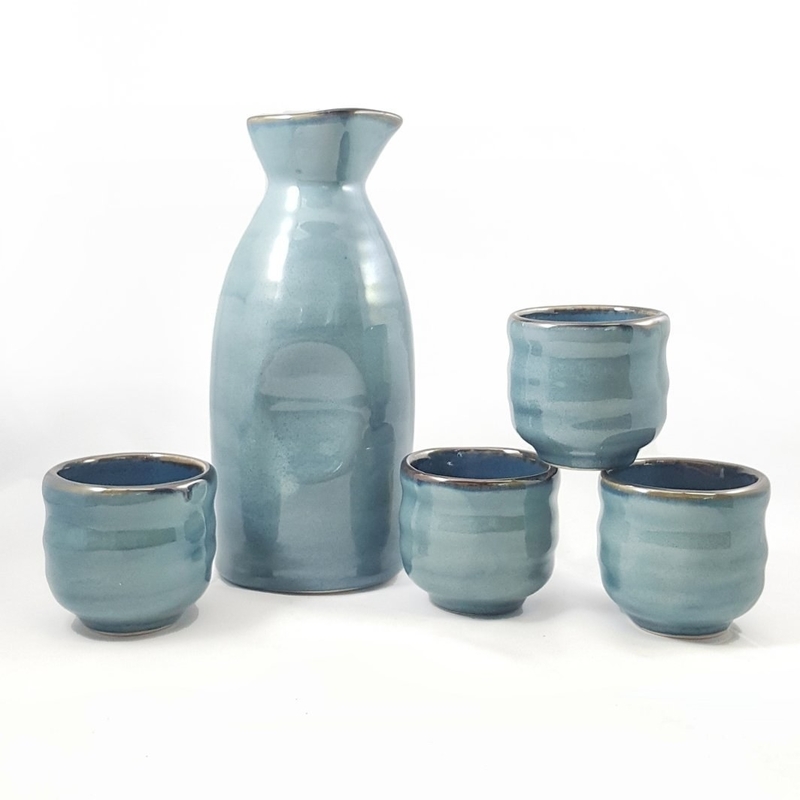 So much so that for the holidays last year, both my own mother and my best friend bought me this five-piece sake set, unbeknownst to each other. They know me well. And of course I kept both. Sake party at my place! Each set comes with a serving flask (also called a tokurri) and four little cups so cute I want to pinch them. But I won't, because that's weird to do to a ceramic cup. Sake, for the uninitiated or anyone who's never been to a Japanese restaurant, is a drink made with fermented rice. It has a higher alcohol content than wine or beer, but ~magically~ maintains a delightfully delicate flavor. Sake has, over the past year or so, taken up permanent residence in my refrigerator, pushing wine — gently and quietly, of course, because sake is a classy drink — out of the way to snag first place as my alcohol of choice for after-work couch-drinking. I'm a fan of it because of its mild flavor that pairs well with basically everything (it also compliments sushi very well, obviously, which I order at least once a week), how smooth and easy it is to drink, and the cheap price tag on a bottle that seemingly lasts forever. Plus, the sugar content in sake is virtually nonexistent, meaning that the sugar-triggered headaches not uncommon after I've had one too many many sauvignon blancs are pretty much out the window. It's also a great base for cocktails. 🍸 Saketini, anyone? Sake + a splash of blueberry basil cocktail mixer = one of the best decisions I've made all month. And while I could easily sip my beloved fermented rice beverage out of a wineglass all year long, why should I, when this adorable ceramic set exists for just $9.99? And when imbibing is best enjoyed in the company of friends, and I have enough cups to accommodate seven? The entire set is dishwasher- and microwave-safe, which comes especially in handy in the winter, when warm sake = cozy AF vibes. Many advise warming sake using a saucepan of hot water and then placing the tokurri flask in the water, but the microwave works when you're in a pinch too. 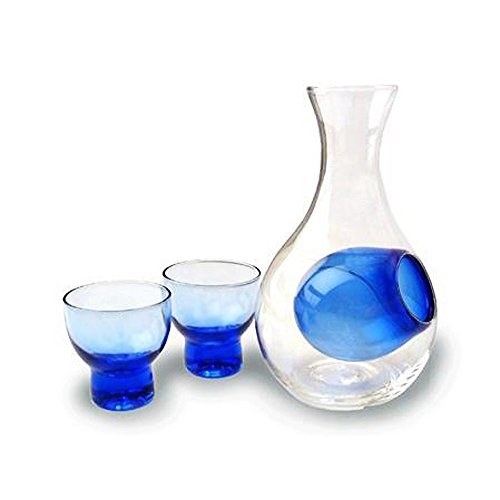 And if you want to step it up a notch, these sets available on Amazon are next on my list: the sophisticated turquoise ceramic set for $19.99 and the futuristic-looking glass set for cold sake for $24.95. I've used the glass set at a local Japanese restaurant before and thought it was pretty nifty. You just put some ice in the blue bubble part and pour sake into the flask from the top. Boom! Chilled sake at your service. Also, omg, this calico cat sake set available from Jet for $31.90 that I guess I need now too. The moral of the story is, there are tons of cool, beautiful, and cute sake sets alike to choose from, so you pretty much can't go wrong with gifting one that best fits the sake lover in your life (even if that person is you). Cheers to the gift of sipping sake in style! And to saying that three times fast. Get the five-piece ceramic white-and-red blossom set from Amazon for $9.99.